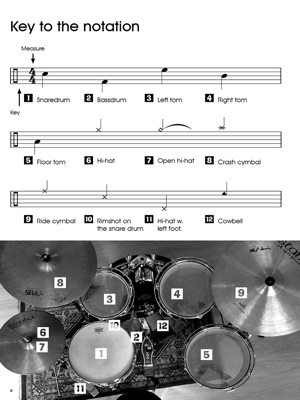 It's fun to play drums! 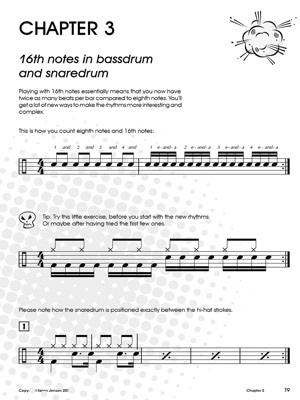 The drum book Kadaboum, written by drummer Søren Jensen, is a basic book written for those who want to get started on the drumset and who haven’t played so much before. 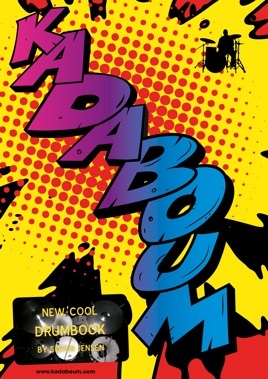 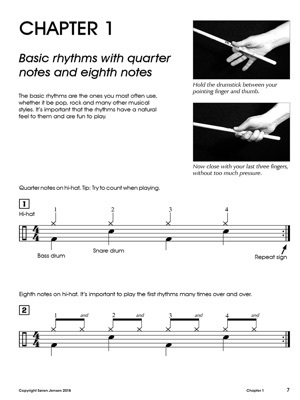 Kadaboum is on 92 pages and displays basic rhythms, techniques, compositions, styles and warm-up exercises. 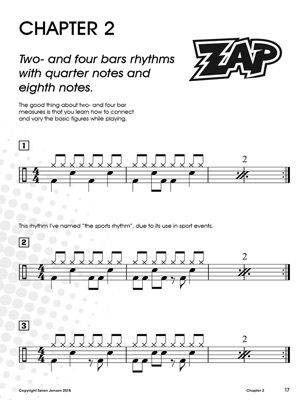 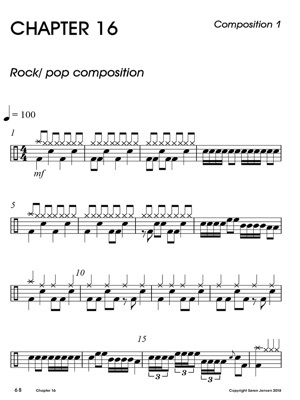 You will gradually learn the rhythms, styles and techniques that a large part of modern rhythmic music is based on. Kadaboum has established itself as one of the best selling drum books in Danish since its first release in 2011, and is particularly suitable for teaching at music schools as well as self-study for more advanced students.